For many applications, linear actuators must not only be small and discreet, but also quiet. A quiet linear actuator is important in places such as medical facilities where increased noise could distract a healthcare worker or patient, or in product applications where too much sound could distract from the intended function of the product. The same is true for home automation. Most of us enjoy a quiet home and as automation continues to find it's way into our home, the demand for actuators that product lower volumes increases. Volume is usually measured in decibels. Here is an accurate definition of 'decibel' from Google. More information can be found on Wikipedia. a unit used to measure the intensity of a sound or the power level of an electrical signal by comparing it with a given level on a logarithmic scale. Reputable manufacturers will provide a data sheet indicating how quiet an actuator is in decibels. 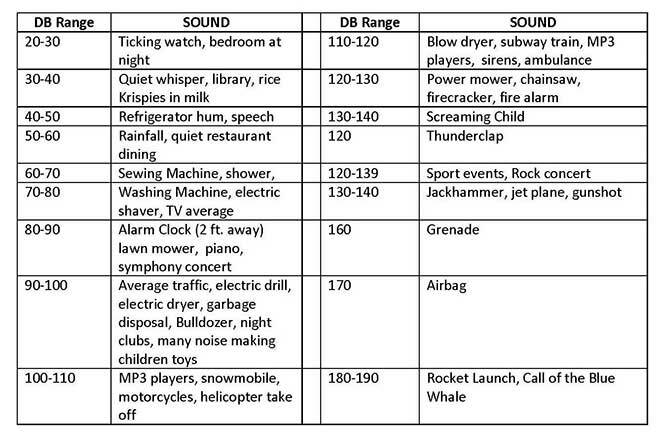 That's great but if you don't know how much sound 80 decibels is offhand, that information isn't really useful to you. Below is a decibel chart that you can use to help you understand how loud in decibels, typical noises that we're all used to actually are. As you can see, the higher the rating in decibels, the louder the sound being made. This means that a noise rated at 70 decibels is louder than a noise rated at 60 decibels. Pretty simple right? Electric actuators are typically quieter than other styles. Their simple design allows them to perform with less noise than electromagnetic, vacuum or pneumatic devices. Most electric actuators are rated below 65 decibels, which is fairly quiet. There doesn't seem to be a standard for distance when rating how quiet an actuator is. Of course if you went into another room and measured the noise, it would be far lower than if you put the measuring device right next to the actuator. All of the numbers on our datasheets are measured at 45cm from the device, or about how far you'd be away from it if you were working at a desk. Some manufacturers will tell you that their devices are 45 decibels but not offer how far away the measurement was taken. Make sure to ask them what their testing standards are. As I mentioned above, the same device could rate 30 or 60 decibels depending on how close you're standing when you rate it. We know electric micro actuators better than anybody, because it's all we do. Making quiet linear actuators is a top priority when our team is developing new designs. We offer a massive selection of over 160 automation products to help you maintain your peaceful environment. If you're looking for electric actuators with low noise, give us a call. If we don't have an off the shelf product that will work for your application, we might be able to custom build one depending on your requirements. Actuonix has the experience to work with your company from the idea phase all the way through to testing and implementation. For more information, you can contact us any time between 7:30-3:00 Monday through Friday PST. If you're looking for a micro linear actuator to suit your application you may have found the options a little overwhelming. Under the Actuonix brand, there are 6 unique micro actuator lines. These lines feature strokes ranging from 10mm through to 300mm, forces between 2-67lbs and five different control options. As of today (July 2017), there are 164 unique products in the Actuonix family, and we have just received prototypes of a new line that will come available soon. Why do we offer so many choices? It's simple really, we want to have an off-the-shelf solution for as many customers as possible. Frankly, it can be confusing to understand how to choose the right product for your application. That's what this article is for. I'm going to walk you through the different lines and control options and help you make the right decision for your project. 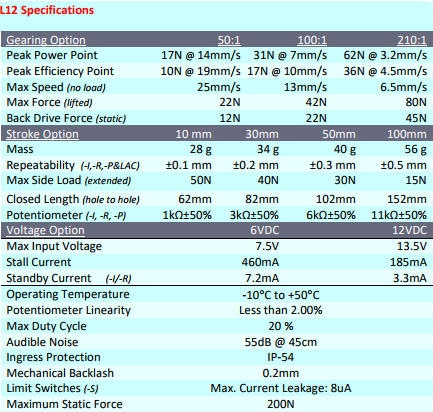 This is where you should start when choosing a micro linear actuator. Our products come in five control options: S series, P series, R series, I series and NXT. The S series is the simplest actuator that we offer. They are a simple 2-wire device and are controlled by reversing the polarity on the 2 wires. These are available in 12V input, and some of our models are also available in 6V input. The 12V S series is ideal for automotive projects where 12V power is readily available. 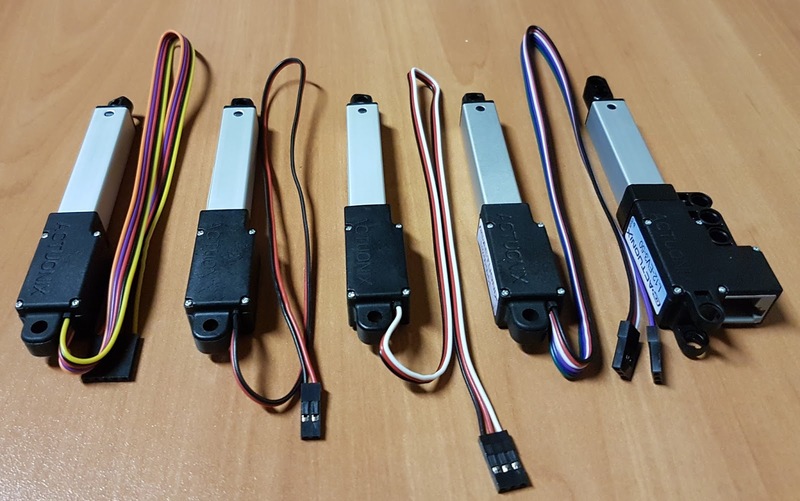 They're perfect for applications where you want to control the your linear actuator with a button or rocker switch or a wireless remote control. S series actuators are also great for home projects when used in conjunction with a power supply of the correct voltage for the device. The P series actuator was designed to be used in conjunction with our linear actuator control board. When you use the P series actuator with the LAC board you get easy control of the stroke end points, sensitivity and actuator speed. The LAC board has 5 input modes that allow you to operate the actuator with your computer via our LAC software, radio control, PWM, 0-3.3V or 4-20mA. P series actuators are perfect for testing and prototyping as well as other applications where you want to experiment with different stroke lengths and speeds. It allows you to easily experiment with different settings on the fly saving you the expense and hassle of having custom products designed. The R series linear servo features the same 3-wire design as RC rotary servos. They are a plug and play replacement for rotary servos. R series products are ideal for RC and arduino applications. It is possible to run one R series actuator directly off of an arduino board. This makes them a great choice for Robotics enthusiasts and hobbyists. 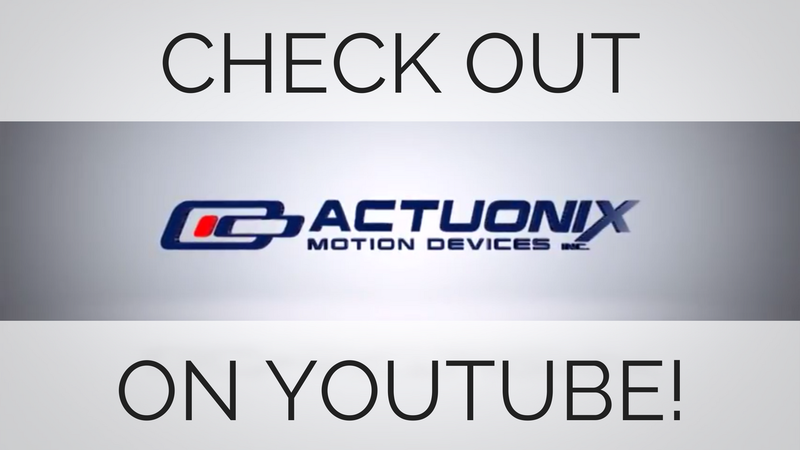 The Actuonix I Series of micro linear actuators feature an embedded internal position controller that allows you to send position commands that it will follow. It is capable of accepting voltage, current or RC input and are available in 6V or 12V models. Our EV3 line of linear actuators for Lego are built off of the popular L12 platform. They feature custom mounting points that are compatible with Mindstorms, Power Functions and Technic Lego kits. These actuators are popular for custom Lego projects such as bridge builders, cranes, forklifts and much more. We are proud to offer more micro actuators than anybody else in the industry. Whether you're a product designer for a medical company or a hobbyist building with arduino, there is a control option to suit your project. For more information on our control options please don't hesitate to give us a call. *We are not affiliated with Lego and they do not endorse our products. © Copyright 2017, Actuonix.com. All Rights Reserved. Powered by Blogger.